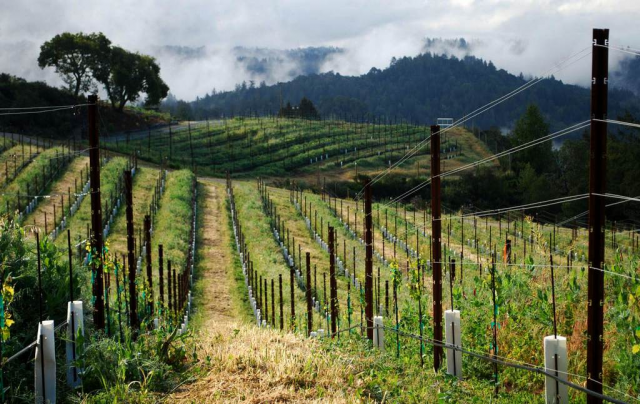 The Santa Cruz Mountains, running along California’s central coast, have a long history with wine. Back in the 1870’s a man named John Jarvis came to the area. He and a few partners held about 2,000 acres of land. Some of it was planted with grapes. A few of those original vineyards still exist, but not many people are familiar with their history. After over a century, perhaps that is no surprise. What’s harder to understand is why more people don’t know about the quality of the grapes being grown in the region today – in particular, Pinot Noir. The appellation, set back in the mountains’ fog, hasn’t been thrust into the spotlight despite producing some of the best Pinot Noir California has to offer. Perhaps it’s because most of the wineries that dot the landscape are fairly small, the majority producing only a few thousand cases a year. Perhaps Sonoma and Santa Barbara Counties are simply higher traffic areas, and thus, have received more attention. Perhaps it’s just the way of the fates. Whatever the reason, the quality of the region’s fruit isn’t an issue. There’s a range of experience in the area, from newer wineries still coming into their own to well establish ones with decades of knowledge behind their wines. But, while the experience of each winery is different, they all have great faith in the potential of the mountains. The landscape provides an ideal environment for Pinot Noir. A wonderful balance of moderate temperatures, morning fog, cooling breezes, and unique soil all interplay beautifully to produce world class fruit. In general, Pinot Noirs from the region have a wonderful, fresh acidity which makes them the perfect companions for good food. King’s Mountain Vineyards is at the young end of the scale. A few years ago, they weren’t producing wine for the public, but it was becoming quite clear that there were simply too many bottles to keep for themselves. When the decision to start selling their offerings was made, they realized the only logical thing to do was all Pinot, all the time. “It’s what the dirt was telling us to do,” Kristi Bowers, their head of sales and marketing says. “Other red varietals just weren’t ripening fast enough, but the Pinot was fabulous.” They’re still a small operation, only producing about 600 cases per year, but it means the wine is truly handcrafted. Jeff Emery, the winemaker at Santa Cruz Mountain Vineyard is at the other end of the spectrum. He has been involved with the winery since the mid-seventies and while the winery’s location has changed, the winemaking style hasn’t. And there’s good reason. Jeff got his start in the area under the wing of Ken Burnap, who was a pioneer in the region. Even though Jeff has taken over the Santa Cruz Mountain Vineyard brand today, he stays true to the ways Ken taught him. For Jeff, “the duty of a Pinot Noir is certainly to have fruit, but also to have all the other non-fruit complexities behind it.” It works out well for him because Pinots from the Santa Cruz Mountains, in general, tend to exhibit a lot of background spice and earth. Despite a recent move, Jeff has been able to keep drawing fruit from the same area where he got his start. 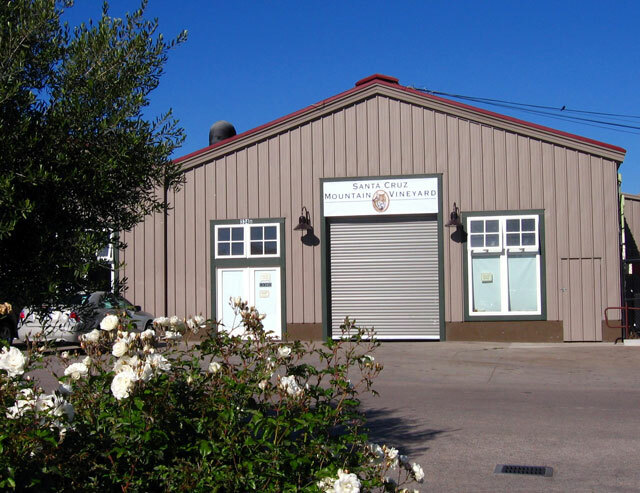 The original site of Santa Cruz Mountain Vineyard is now part of Vine Hill. Their winegrower, Nick Guerrero, left a job as a brewer for Anheuser Busch in the early 2000’s when he realized he needed to do something different with his life. After some soul searching, Nick decided that he wanted to try opening a winery. “I knew that if I was going to produce red wine in Santa Cruz, it had to be Pinot Noir because on the ocean side of the sumbit, other red grapes struggle to reach maturity.” Thus, while looking for a vineyard to purchase, Nick was pleasantly surprised to find Ken Burnap’s property available. The vineyards were some of the originals from back in the 1870’s and had been in operation for the majority of that time. Nick couldn’t pass up such an opportunity, so he made the purchase and has done his best to carry on the legacy of great mountain Pinot that Ken started. For Nick, it’s the combination of elevation, sunshine, and breezes that produces the fresh acidity, solid tannins, and distinctive mountain spice character which truly set Santa Cruz Mountain Pinots apart. Given the nature of Santa Cruz Pinot, it may not be for everyone. As Jeff explains, “By themselves, they can be a bit puckery and lean. But as soon as you have some sauce or some fat with them, then you get that wonderful interplay where you want another bite – you want another sip.” In short, for people that love food, and pairing wines with food (as we certainly do here at Food & Beverage), Santa Cruz Mountain Pinot is an ideal partner. While it seems there’s a trend to simply drink wine as an aperitif, more and more people are discovering just how wonderful the right wine with the right meal can be. If you’re one of those people, then give Santa Cruz Pinot a try and find out about the magic of the mountains. You can check out more reviews of other Santa Cruz Mountain Pinots by clicking the links below. Nice coverage Jason! Thanks for spending some times with the wines of the Santa Cruz Moutains AVA.